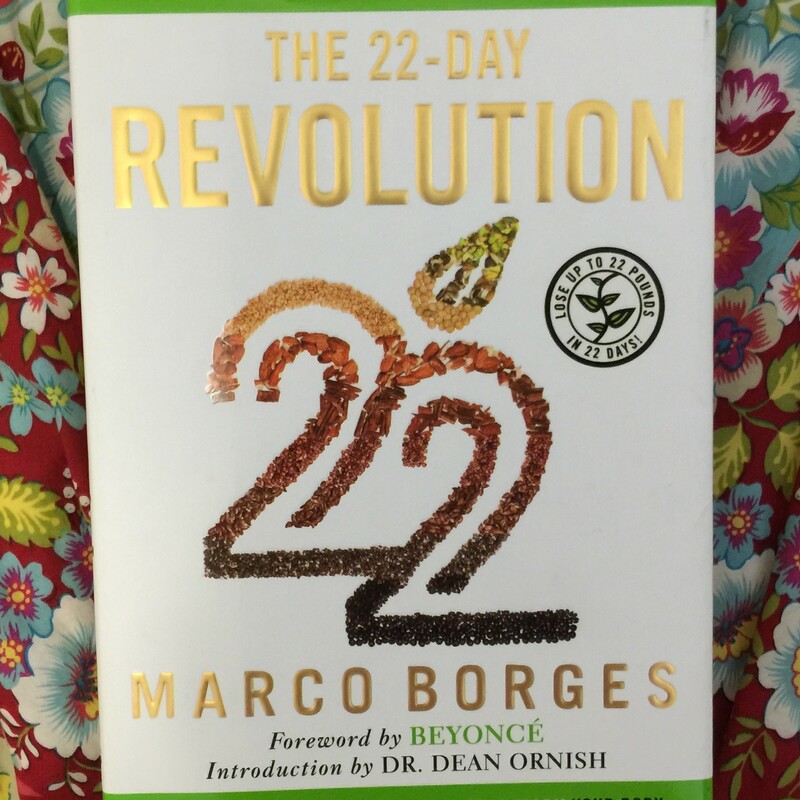 I read The 22-Day Revolution, by exercise physiologist Marco Borges, while on vacation. I had been given the book a few months ago at an event where the author was speaking. The book contains the fundamentals for starting a plant-based diet & maintaining healthy habits; and a detailed 22-day meal plan. The book’s Forward, written by Beyonce, is about how and why she converted to a plant-based diet; and the Introduction, by Dean Ornish, M.D., touches on the benefits of eating whole plant foods for your health and the environment. Borges’ program is based on the principle that it takes 21 days to make or break a habit, so his regimen is 22 days, just long-enough to kick some bad habits and adopt new, good ones. The first 100 pages are about the why and how to change your diet from animal-centered food to a completely plant-based, non-processed, whole-food regimen. It has lots of nutritional information and tips for how to set-up your kitchen, how to shop, etc. The next 100 pages are the actual regimen, broken down into Day 1 through Day 22. For each day, he provides an inspirational message and/or power-talk and a recipe for breakfast, lunch and dinner. The last section of the book contains more information on lifestyle, exercises and additional recipes. What I like about the book is that the diet is for a defined and reasonable amount of time—less than a month–so it seems do-able. It makes sense that if you feel good at the end of the 22 days you will want to continue eating that way. That is what the point of the book is—it’s not only about losing weight (although you can use it for this) but about eating healthy to have a vibrant life. I also liked the beautiful color pictures of many of the recipes in the center of the book. Honestly, this is what first enticed me to delve into the book. I know I had to try some of them! So for the next few weeks, I’ll be making many of the recipes and sharing a corresponding picture and thoughts with you. Hope you let me know if you try any of them! 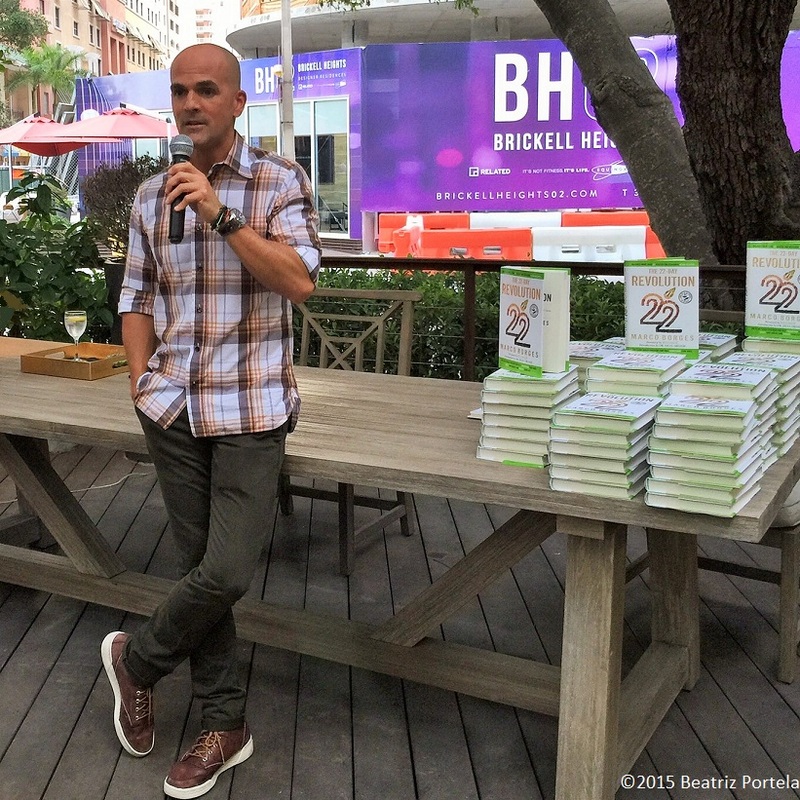 Last week I listened to Marco Borges, exercise physiologist and author of The 22-Day Revolution, talk about his newly published book. The book contains the fundamentals for starting a plant-based diet & maintaining healthy habits; and a detailed 22-day meal plan. Borges’ program is based on the principle that it takes 21 days to make or break a habit, hence his program is 22 days. I only quickly perused the book before he signed my copy and I took it home. The recipes and corresponding photos in the middle of the book look fantastic. Dr. Dean Ornish wrote the book’s Introduction and the Forward is by Beyonce. I’ll tell you more once I finish reading The 22-Day Revolution and prepare some of the meals. To be continued!